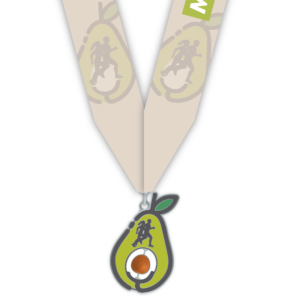 Once you cross the finish line, you’ll be the proud owner of this one-of-a-kind custom Avocado finisher medal! Avocado Shape with a spinning pit! 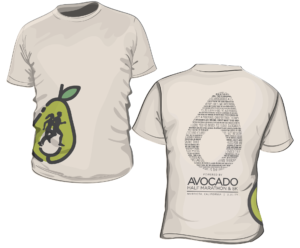 Be sure to pick up your soft cotton souvenir shirt and wear it until it gets GuacWARD! 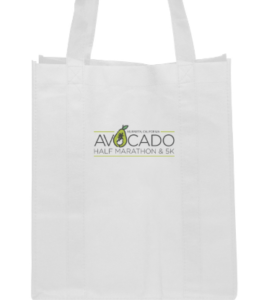 Pick up your custom Avocado Half Marathon and 5K Grocery bag at packet pick up and spend the day filling it at the Avocado Expo.